The TakeAway: The release of Aung San Suu Kyi caps a long process of advocacy including state and local sanctions, shareholder activism, and consumer boycott campaigns. Saturday’s release of Burmese pro-democracy leader Daw Aung San Suu Kyi (fondly called “The Lady”) from house arrest to the chants and cheers of supporters reminded many worldwide of the goosebumps moment watching Nelson Mandela’s walk to freedom in February 1990. The comparison runs deeper, as the moral leadership of both inspired broad-based sanctions movements involving advocacy groups, shareholder activists, and state and local governments that pressed for a free and open society where human rights and the rule of law reigned supreme. 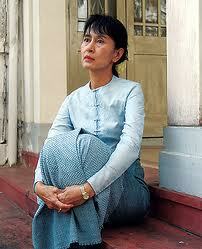 The decades-long battle for human rights in Burma is worth reviewing. Aung San Suu Kyi is the daughter of Aung San, commander of the Burmese Independence Army and a national hero who was assassinated when she was 2 years old. 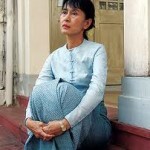 After spending 15 years of the past quarter century in detention (she was previously released in 1995 and 2002), her freeing occurred five days after a general election that the New York Times said put a civilian face on the military dictatorship—the last elections were held in 1990, when her National League for Democracy (NLD) party won a decisive victory that the generals then annulled. Around that time, trade and investment sanctions on Burma (renamed Myanmar the year before by the State Law and Order Restoration Council, or SLORC) began to mount. In 1992, investor activists filed a shareholder resolution asking PepsiCo to disclose its Burma operations, which they withdrew when the company complied. That same year, Levi Strauss became the first major company to withdraw, stating, “It is not possible to do business in [Burma] without directly supporting the military government and its pervasive violations of human rights”. Later in the year, Petro Canada followed suit. However, many other companies stayed in Burma, prompting groups to form to lobby for withdrawal through a combination of shareholder activism, selective purchasing, and consumer boycotts. In August 1993, Simon Billenness of Franklin Research & Development Company (now called Trillium Asset Management) helped found the Burma Roundtable, a group of exiles, human rights advocates, and shareholder activists. Other groups, such as the Coalition for Corporate Withdrawal from Burma and the US Burma Campaign, also pushed for sanctions against Burma. By 1993, these groups filed shareholder resolutions with Pepsico, Amoco (bought by BP in 1998), Texaco (purchased by Chevron in 2001), and Unocal (also purchased by Chevron, in 2005). To this day, Chevron maintains its controversial presence in Burma. On a parallel track, legislative activism proceeded; in February 1995, Berkeley became the first municipality to enact a selective purchasing law against companies with Burmese operations. By June 1996, Massachusetts became the first state to enact a statewide selective purchasing law; soon more than two dozen US cities and counties passed “Free Burma” laws. Two years later, however, a federal judge invalidated this approach, ruling in favor of a lawsuit brought by the National Foreign Trade Council, a corporate lobbying group. Their claim: states do not have the authority to engage in foreign policy. This case ended up before the Supreme Court, with amicus briefs filed by members of the Massachusetts delegation as well as other members of Congress, numerous attorneys general, nonprofit organizations, local governments, and government associations. In June 2000, the Supreme Court knocked down the state law on narrow, non-constitutional grounds, claiming that federal sanctions already existed. At the federal level, in September 1996 President Bill Clinton signed the Cohen Feinstein amendment banning new US private investment in Burma, leading more than 15 companies to withdraw from Burma by 1999 – and others canceled their plans to do business there. By 1997, growing opposition to the Burmese generals caused President George H.W. Bush to back economic sanctions by signing Executive Order 1307, which prohibited new investment in Burma by US persons and companies. Burma’s status as a major drug exporter (or “narco-state”) triggered a number of trade sanctions. In May 2009, President Obama extended sanctions such as the Burmese Freedom and Democracy Act of 2003, which barred imports of Burmese goods. While we don’t know what Aung San Suu Kyi’s release will mean for changes in the junta’s behavior or for sanctions, we do know the world continues to play close attention. And we need to keep in mind that the stories we read in the paper result from generations of actions by thousands of people around the world who have struggled for democracy against military dictatorship. Editor’s Note: Special acknowledgment to Anne Rittenhouse Parry, whose Master’s Thesis from Tufts University in 2000 included a case study on the Massachusetts / Burma Selective Purchasing Law. Marcy Murninghan, who served as an informal advisor on Parry’s work, drew on this resource to inform this post. This entry was posted in Human Rights, Public Policy, Stakeholder Engagement, Sustainable Investing and tagged Aung San Suu Kyi, Burma, Burmese Freedom and Democracy Act, Chevron, Levi Strauss, Myanmar, Nelson Mandela, PepsiCo, Petro Canada, Simon Billenness, State Law and Order Restoration Council. Bookmark the permalink.